John Luken is an intellectual property lawyer in Dinsmore's Cincinnati office. John focuses his practice on patent infringement litigation and appeals, as well as complex commercial and other intellectual property litigation. He has handled patent infringement cases involving a variety of services and products, including commercial forms and related software, software-related business method patents in the printing and financial services industries, metal beverage cans and closures, surface coal mining blasting methods, liquid beverage concentrates and related packaging, automated barge refurbishing methods, service station petroleum equipment, and retail security products. 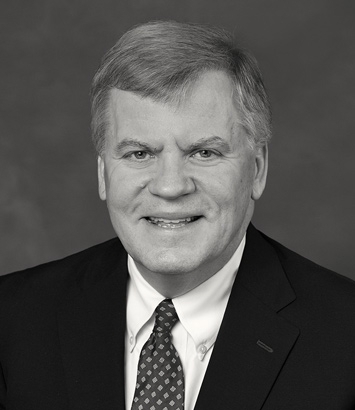 While his practice currently focuses largely on patent infringement matters, John has handled a wide variety of other types of complex litigation matters, ranging from securities, commodities, RICO and fraud claims arising out of complicated derivatives transactions to shareholder derivative litigation, environmental litigation, business and government contracts cases, and ERISA class action cases. Clients appreciate his ability to prioritize their needs and objectives and to approach matters flexibly and creatively - rather than in a one-size-fits-all manner. John’s methods help complex matters be resolved favorably, expeditiously and cost-effectively. He is also an active member of the influential Sedona Conference Working Group on Electronic Document Retention and Production (WG-1), participating in several Sedona drafting teams, including the Case for Cooperation (urging more rational, expeditious, and less expensive discovery processes). John is the recipient of a number of community leadership awards from the United Way and from the Cincinnati Bar Association. For the last 10 years, he has taken up distance running and has completed 20 full marathons.